LE BUTCHERETTES UNVEIL A NEW CUT! Mexican punk trio LE BUTCHERETTES have unveiled a new song from their forthcoming third album. ‘Shave The Pride’ is the first single from the album A Raw Youth which is due out through Ipecac on 18 September. Listen to it here. 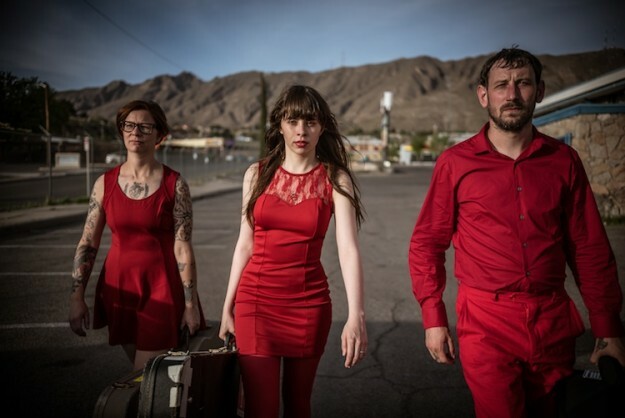 Based in Guadalajara, Le Butcherettes are the brainchild of Teri Gender Bender (vocals and guitar), joined by drummer Chris Common and bassist Jamie Aaron Aux. They recorded the album at RLP Studios in El Paso, Texas with Omar Rodriguez-Lopez of THE MARS VOLTA and AT THE DRIVE-IN on production duties. The album features guest contributions from IGGY POP and JOHN FRUSCIANTE. Pre-order A Raw Youth here. ‹ DAMNED TO SMASH UP THE ALBERT HALL?